At the heart of M2M One’s data services are our M2M IP networks, designed from the ground up to meet the demands of M2M applications. At M2M One we understand that to run an efficient & secure operation sometimes your devices require more specialist networking services. Which is why we created M2M One IPX, our fully managed IP networking services, available as an additional service on all of our SIMs. At the heart of our M2M IP networking range is our IPX turn-key solution. 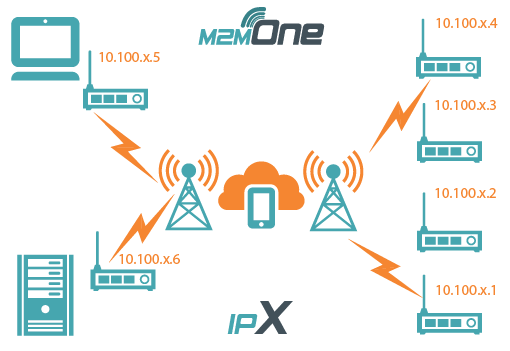 IPX networks are secure, high availability, enterprise grade, dedicated to M2M One customers, and deliver static IP addresses to your M2M devices. Our turn-key static IP value added service is backed by New Zealand’s most robust network operator and their world class infrastructure. Do your devices need to access to hosts on the public internet? 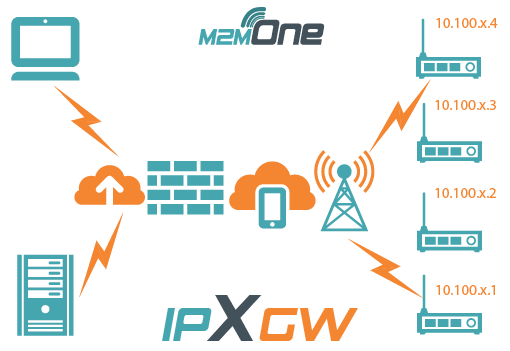 Our internet gateway (IPXGW) allows your devices to make outbound connections using managed firewall rules to communicate with your remote hosts on the internet. Our firewall ensures that your wireless devices are secure by barring uninitiated sessions from external hosts. Does your app need to initiate connectivity, or remotely access your devices? 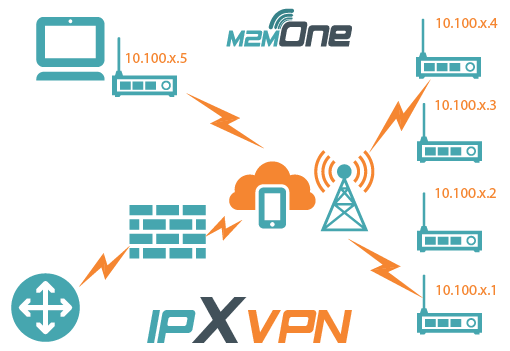 M2M One’s IPXVPN solution is a secure pipeline into your IPX network, that enables you to securely transfer data to and from your remote wireless devices. We provide Site to Site IPsec connectivity from your organisations head office or any permanent site. How does each network work?